Enjoy the fall colors of Lake Tahoe. 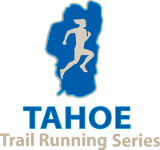 Run this great course starting and finishing at Commons Beach in Tahoe City. The course is on the newly completed Tahoe City trail featuring great views of the lake and surrounding area. There is a 5K, 10K and kids distances. Come on out to run, walk, or stroll with your friends and family. Scarecrow costumes are encouraged! This event is a fundraiser for SnowFest! Celebrating 34 years of Family Fun in North Lake Tahoe! Put on your most outrageous day-glow, gaiters & jeans, and Wayfarer sunglasses and make plans to be here for another great celebration! Join in and celebrate the fun and frolic of winter! There’s no better time to be in North Lake Tahoe. Snow conditions in early March are some of the best of the season. Entry includes Tech Tee Shirt, post event recovery food, raffle prizes. Proceeds benefit SnowFest (501C6). By CREDIT CARD available through 11:59PM on Friday October 3, 2014. Big Blue Adventure, LLC has a NO REFUND policy. However, we do offer partial discounts for those canceling during our cancellation periods. If the event is NOT sold out, a discount code for 75% of your race registration fee will be offered until 14 days days prior to the race date. Discount codes can be used to register for another Big Blue Adventure, LLC event and will be valid for 12 months after the event date. Prize raffle: enter the event and you can win big! We’re fortunate to have a great line up of sponsors who provide us with product to distribute to all of you, we always have a great raffle! If you race you have an equal chance to win a prize from the Raffle.